I haven't done a DIY post in forever and I have been dying to do one and after seeing this blog post I knew I had to recreate this, but of course add a stylish touch!! If you don't know by now I LOVE nail polish and I LOVE my iPhone and Instagram and combining the two is like a stylish heaven in my eyes. 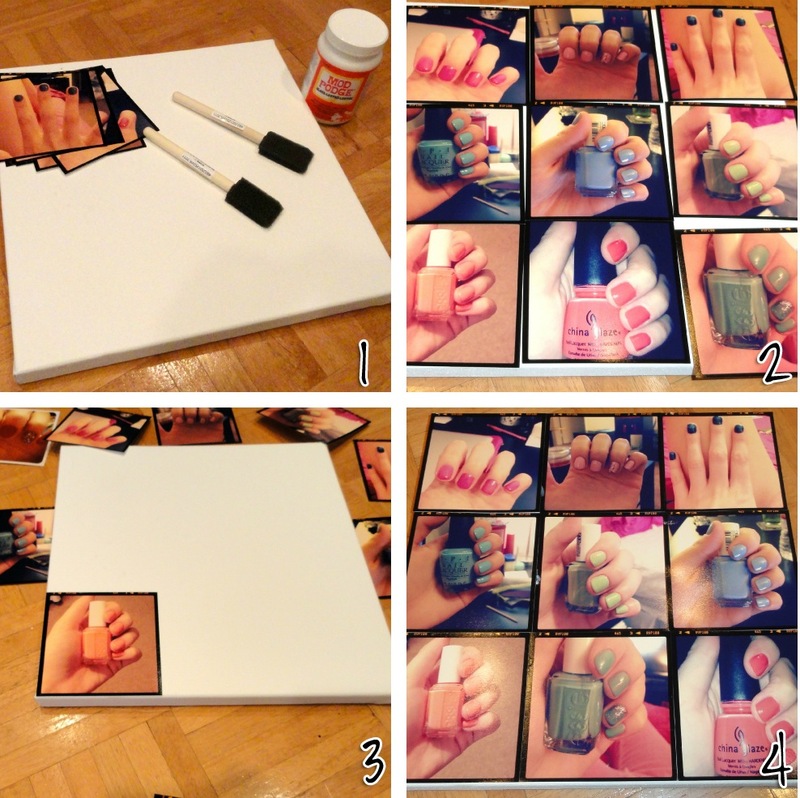 I always take pictures of my nail colors using my favorite app, Instagram, and when I saw this DIY I knew it was the perfect thing to create for my new apartment, an Instagram Canvas Wall Art. It's inexpensive and an awesome way to use all those Instagram photos you take! See below to create your own canvas wall art! Supplies Needed: (For a 12x12 canvas like I used) you'll need 9 4x4 pictures, Mod Podge, and a paint brush! Step 1: Using Postal Pix, such an awesome app to print your instagram pictures and have them delivered right to your door, I ordered 18 4x4 photos (I only needed 9 but I wanted to have enough to choose from) of all my nail polish pics. Step 2. On your canvas, experiment with placing all nine pictures and decide on a layout.